Kitty cats, some may think that it is ludicrous to spend a small fortune on Designer Sunglasses, but when you think of such a splurge in terms of Jersey Shore’s Mike “The Situation” Sorrentino, who recently stated, “Fashion Fact: Most people make the assumption that I wear trendy shades the majority of the time (often indoors) to protect my eyes from the elements. But in fact it's the reverse. I'm protecting the elements from the brilliance of my eyes,” a purchase of this magnitude can be justified as a service to the world around you. As such, it requires a truly decadent pair to get the job done right. In my case, that pair would have to be…DSQUARED2’s 0015 - très James Bond, mais oui? Perfectly oversized so that they will look just as elegant perched upon your nose as they will peeking out from your tantalizing tresses for those moments when you want to park them atop your head; androgynous in aesthetic so that you can share them with your cute boy du jour (should you deem him worthy); and available in seven saucy shades (Havana / Brown Gradient, Black / Grey Gradient, Blue Violet Gradient, Brown Green Gradient, Brown Gradient / Havana, Brown Gradient Lens / Brown, and Grey Gradient / Black) so you can don a new pair every single day of the week…in simpler terms? They are flawlessly fabulous – and less than $200.00 a pair. How could you not Like – scratch that – love them? What pair of designer sunglasses do you dream of donning? Thanks to Ship My Shades for the picture. I wish I could buy a pair of TOMS -new line of sunshades, but I don't see that happening anytime soon. Guess I'll have stick with my clearance special from Old Navy. And they aren't too bad. Its just a lose a pair so easily. 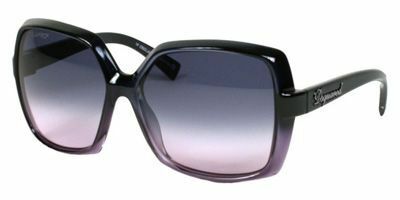 I have a few different styles of shades to change up my look, and saw recently in one of the magazines that wire framed sunglasses are coming back in style. The Situation's quote is hilarious! I have several fabulous sunnies that I alternate depending on my mood! I have a pair of oversized Gucci that will never go out of style! the next one of my list - a pair of aviators. I definitely want a pair of Elizabeth and James sunglasses or just some awesome wayfarers. The new blog colour and header are very refreshing. The shades match it too! I have oversized Ray Bans, which I love. Oversized sunnies really are perfect. i recently bot sunglazzes for 1/10 the price. they look just as hot as these. so, i'm glad i can pocket the $180 savings! Thats a great pair of sunglasses! I love the color and the tint! I wish I could wear the really trendy white sunglasses...but i dont think they look that great on me! Time to 'Watch' Time Squared!